FOX Sports and GarageMonkey are taking a trip through NASCAR history. 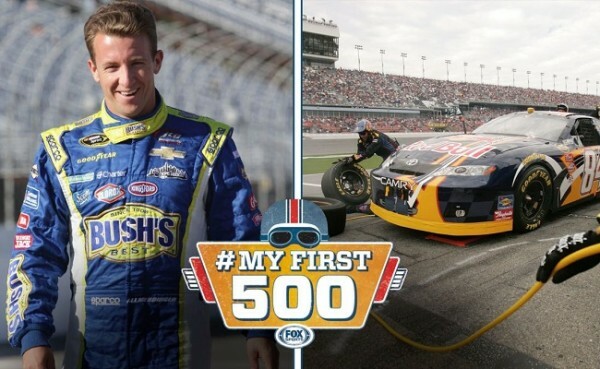 The sports-focused television network and the YouTube multi-channel network dedicated to auto and motorcycle enthusiasts have launched the #MyFirst500 social media campaign to feature stories of racing fans and professionals’ first Daytona 500 experiences. The #MyFirst500 campaign currently boasts videos produced by FOX Sports of current and past racing professionals, including 2013 Daytona 500 winner Jimmie Johnson and Chip Ganassi Racing’s NASCAR Rookie of the Year Kyle Larson. 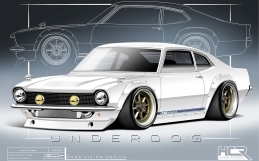 Users can also submit their stories, photos, and videos to be included on FOX Sports and GarageMonkey’s respective websites. #MyFirst500 also helps promote the February 14-22 Budweiser Speedweeks, the Daytona 500 qualifying rounds, and the upcoming Daytona 500 itself. FOX Sports will air The Great American Race on February 22 at 1 PM EST. You can check out all the #MyFirst500 videos, tweets, and other related media content on the campaign’s dedicated pages on FOXSports.com and GarageMonkey.com. You can also submit your own Daytona 500 memories via a contact form on GarageMonkey’s site for the chance to have your story featured on FOX Sports 1 leading up to the Daytona 500 telecast.